Embroidered quilted cotton duffle tote for kids. Trendy mermaid applique on a turquoise background with pink trim and handles.. Add a personal name monogrammed onto this adorable duffle bag. Just the right size for the beginner child dancer, soccer player, gymnasts to carry their sporting essentials. 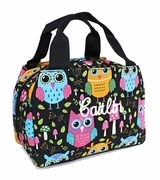 Great overnight bag for staying with a friend or trips to grandmas. Embroidery included from Simply Bags. 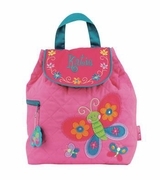 Embroidered tote for kids measures 15"Wx 9.5H" with zipper closure.. 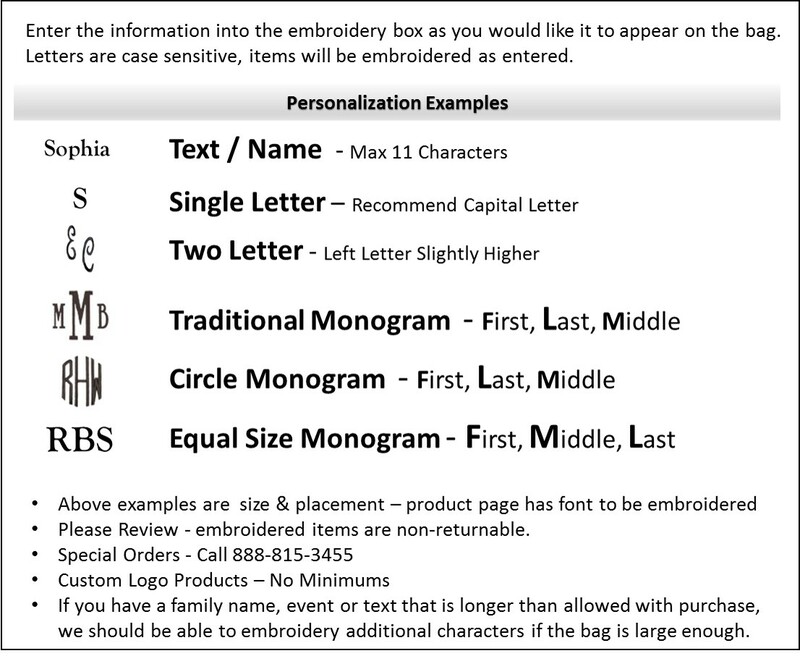 If a monogram is chosen the sequence will be traditional with the center initial larger First Initial, Last Initial, Middle Initial enter into text box in that order.